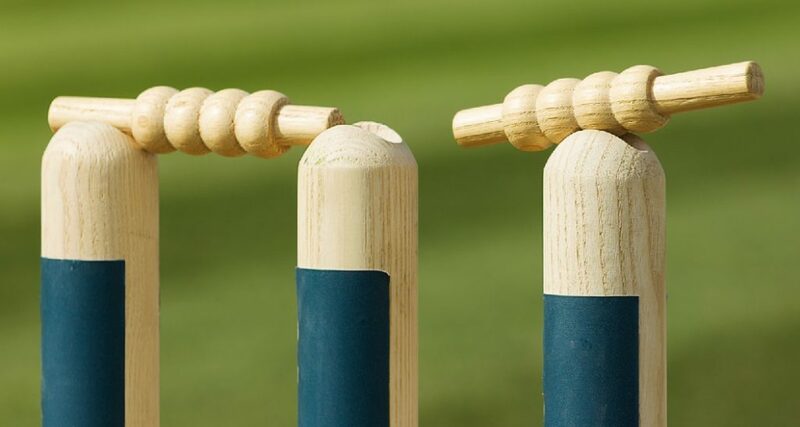 3 run outs in final over as Effingham beat Mickleham | Effingham Cricket Club. The annual Effingham v Mickleham 35 overs per side Sunday friendly at the picturesque Box Hill school ground was blessed with a rare day of fine and sunny weather. ECC won the toss and elected to bat first on a soft track and lush outfield. They soon lost a couple of early wickets but the innings was steadied by 12 year-old Adam Iqbal, who batted through almost 30 overs in top-scoring with an excellent 29. He was well supported by a fairly rapid 25 from Chris Fewson and useful contributions down the order from Toby Marshall (10) and Joe Roberts (12). With extras totalling 36, Effingham’s totalled reached 143-9. Mickleham’s reply also started with the loss of a couple of early wickets against the probing bowling of Joe Roberts (2 for 19 from 7 overs) but recovered to 64 for 2 before Adam Burlison (7 overs, 3 for 19) struck with 2 wickets straight after the drinks break. Chris Fewson (5 overs, 1 for 10) then dismissed their opening batsman for a well-crafted 56 and steady bowling from Tom Risby (5 overs, 1 for 33) and Stan Jones (5 overs, 0 for 26) set up an extraordinary final over. With only 4 runs needed and 4 wicket left, the home side were favourites to pull off a victory and it was left to Effingham’s captain, Adam Burlison, to try and prevent their opponents reaching their target. Three run outs, including one off the last ball, and a catch off a skier gave Effingham a memorable victory by 1 run.